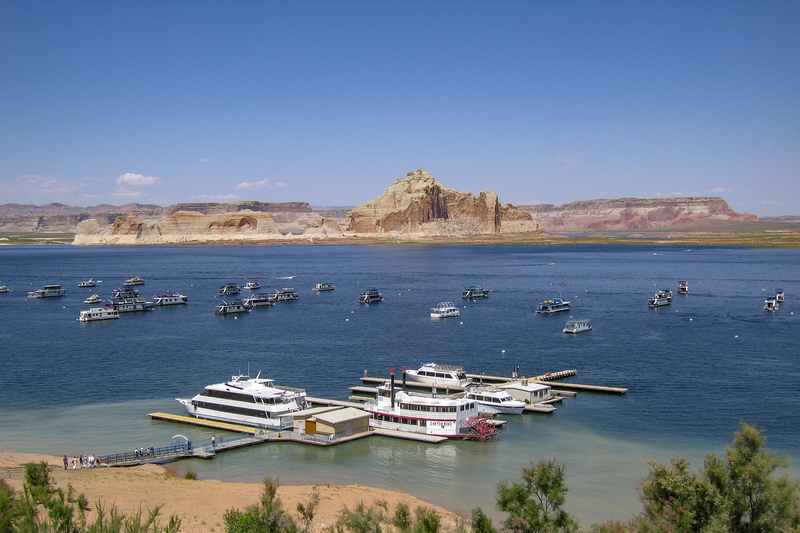 Good news for boaters headed to Lake Powell this summer. Spring runoff is expected to open Castle Rock Cut by June 2008 and it is expected to remain open until 2010. Due to drought conditions Castle Rock Cut has not been usable since 2003. Boaters launching from Wahweap Marina or Lone Rock Beach save about 12 miles on the way to popular areas such as Rainbow Bridge, Padre Bay and Warm Creek Bay. Snowpack in the upper Colorado River basin is expected to give Lake Powell it’s highest level in years. Castle Rock Cut is passable when the lake level is at 3,618 ft or better. The expected drop in water level next winter is projected at 3,828 ft which is excellent news. The National Park Service released an environmental assessment in February 2008 examining the possibility of further deepening the Castle Rock Cut so it would be passable to boats at lower lake levels. That project is currently on hold since there is not enough time to put the excavation equipment to work before lake levels rise this year. 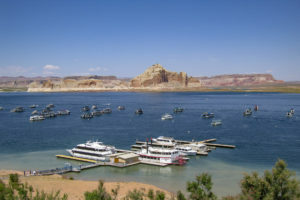 This entry was posted in Glen Canyon, National Parks and tagged boating, castle rock, castle rock cut, Glen Canyon National Recreation Area, Lake Powell, Lone Rock Beach, Wahweap. Bookmark the permalink. I bet the spring run off will be something this year.